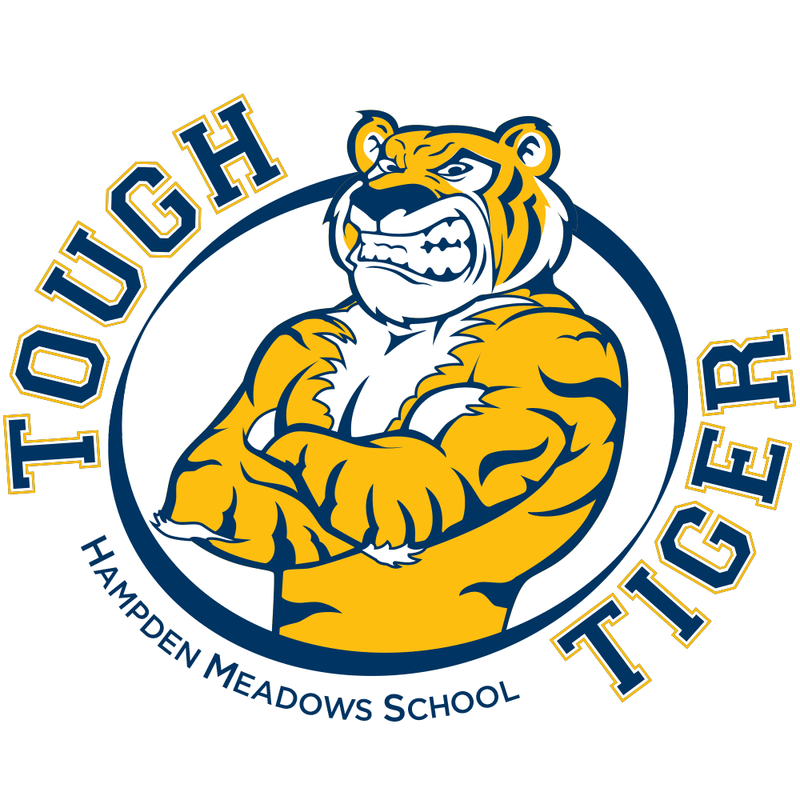 The 2.0-mile course is a loop in the neighborhood, starting at Hampden Meadows School. The course will have 18 obstacles, geared toward young families, placed throughout the loop. Please see course map below for details. The first 1,000 registrants who pick up their race bib will receive a performance Tough Tiger T-shirt. T-shirts will be available at Friday's packet pick-up or on the day of the race. Many themed class baskets with valuable items will be available to win. You won’t want to miss this opportunity! Electronic timing through RaceWire. For your safety, rollerblades and dogs are prohibited from the race course. Headphones are permitted, but strongly discouraged. If you wear headphones, please be courteous to other runners. Hosted by: The Hampden Meadows Teacher Organization (PTO). From I-95 North or South: take Route 195 East to exit 7 (Rt.114, Barrington). Follow 114 until you enter the center of Barrington. Pass Shaw's Plaza on the right and drive through next light over bridge, take a left onto New Meadow Road. The Hampden Meadows School will be on the right. From Southeastern Mass: take Route 195 West to exit 2/Rt. 136. 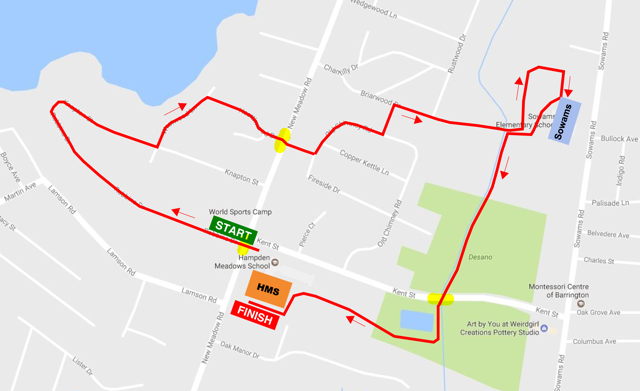 Follow 136 south into Warren, RI, take a right onto RI-103/Child St, then turn right onto RI-103/RI-114/Main St, it becomes 103/114/County Rd, after the first bridge, drive towards second bridge, but do not cross it, take a right onto New Meadow Road just before bridge.The Hampden Meadows school will be on the right. I hereby for myself, my heirs, executors and administrators, waive and release any and all rights and claims for damages I may have against the Hampden Meadows Tough Tiger, sponsors, coordinating groups and any individuals associated with the event, their representatives and assigns, and will hold them harmless for any and all injuries suffered in connection with this event. I attest that I am physically fit to compete in this event. Further, I hereby grant full permission to any and all of the foregoing to use my likeness in all media including photographs, pictures, recordings or any other record of this event for any legitimate purpose.